In 2015, G20 leaders' summit will be held in Antalya, Turkey. The summit will be held in Antalya on November 15-16, 2015. Global economy, strengthened growth and job creation will be taken up at the summit in Turkey. 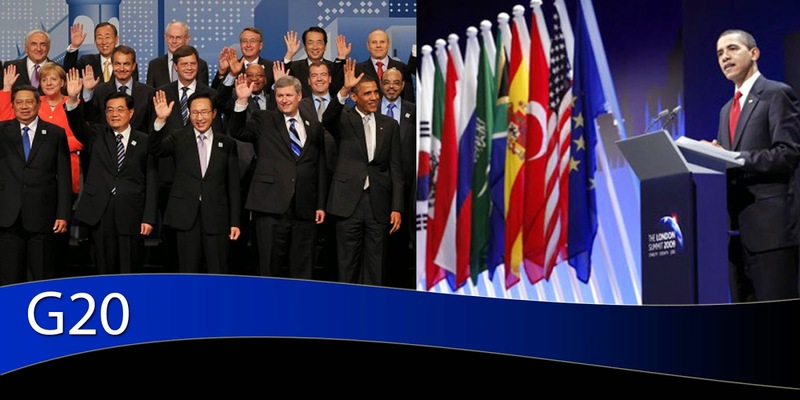 The 2015 G-20 Turkey summit will be the tenth meeting of the G-20 heads of government. Turkey will assume the presidency of the G-20 in 2015. 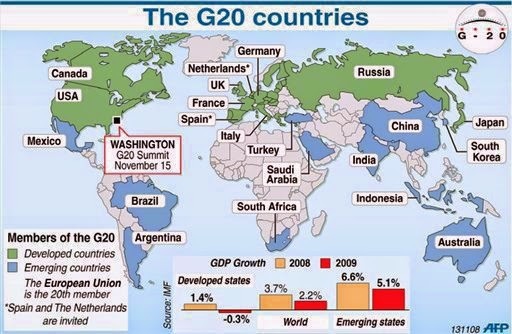 The Group of Twenty (also known as the G-20 or G20) is an international forum for the governments and central bank governors from 20 major economies. The members, shown highlighted on the map at right, include 19 individual countries: Argentina, Australia, Brazil, Canada, China, France, Germany, India, Indonesia, Italy, Japan, Mexico, Russia, Saudi Arabia, South Africa, South Korea, Turkey, the United Kingdom and the United States—along with the European Union (EU). 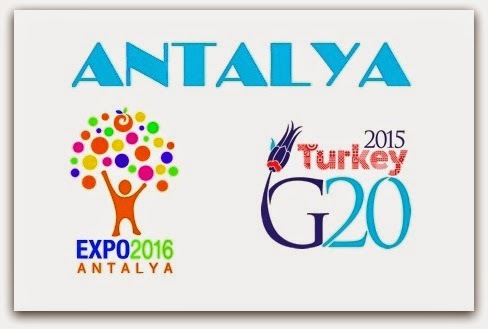 Antalya will also host EXPO 2016. Especially on behalf of Antalya area, we would like to take the opportunity of expressing our gratitude to Foreign Affairs Minister of Turkey Mr. Mevlut Cavusoglu (born in Antalya) for this event, and also more. Thanks for sharing the wonderful post..